Provide comfort for the family of Ellen McArdle with a meaningful gesture of sympathy. Peacefully at Hastings Manor in Belleville on January 27, 2019 in her 95th year. Predeceased by her husband Thomas McArdle (d.1976). 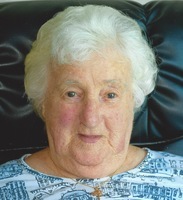 Beloved mother of Thomas, Joadey (Garrett), Helen (Liam) and the late Katrina (d.2011). Proud grandmother of 7 grandchildren, 14 great-grandchildren and 2 great-great-grandchildren. Visitation will be held at W.C. TOWN FUNERAL CHAPEL, 110 Dundas Street East, Whitby, on Thursday, January 31, 2019 from 7 – 9pm. A Mass of Christian Burial will take place at St. John the Evangelist, 903 Giffard Street, Whitby, on Friday, February 1, 2019 at 11am. Interment at Assumption Catholic Cemetery, Mississauga. 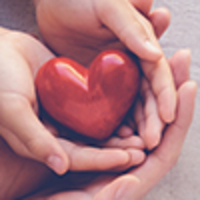 If desired, memorial donations may be made to the Alzheimer’s Society and condolences may be expressed online at www.wctownfuneralchapel.com. Consider providing a gift of comfort for the family of Ellen McArdle by sending flowers.